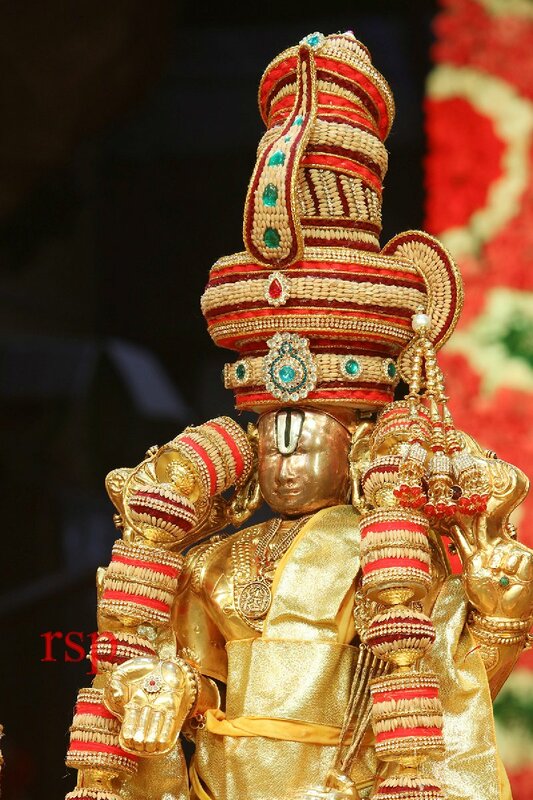 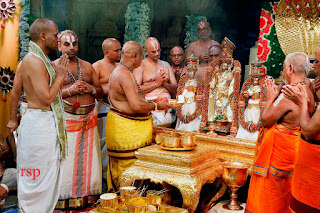 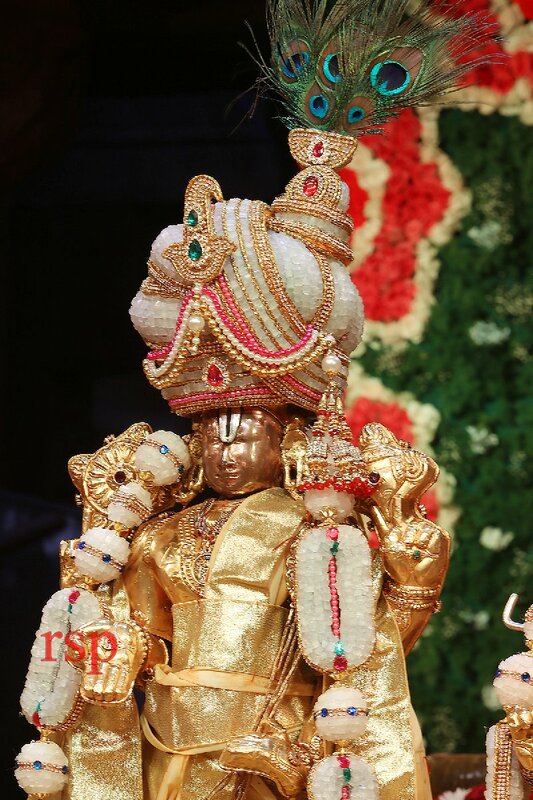 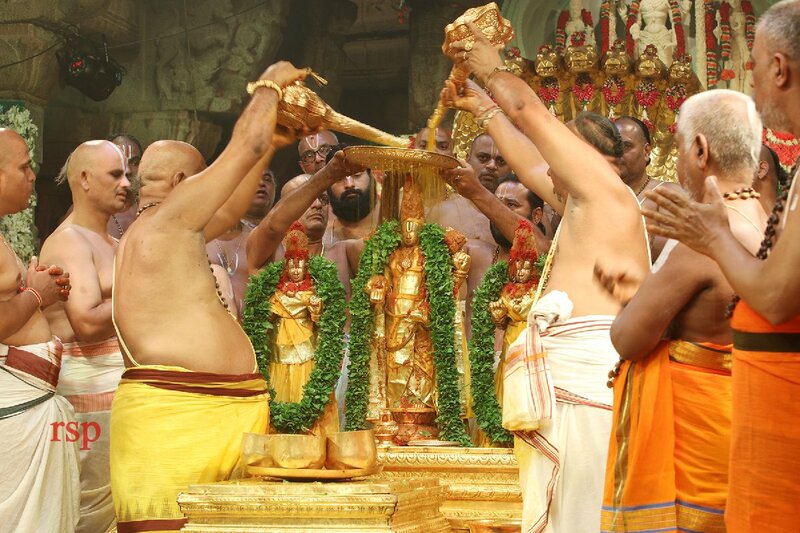 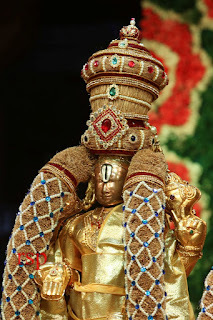 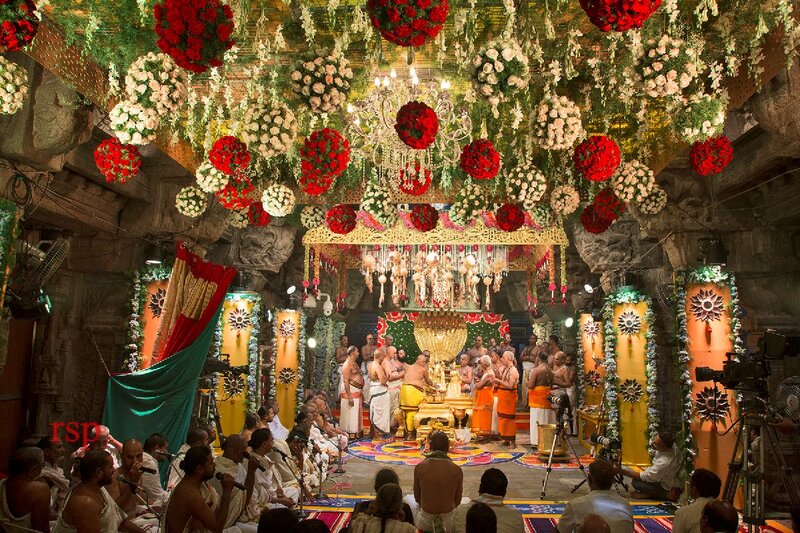 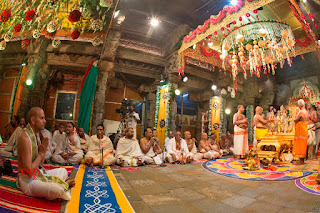 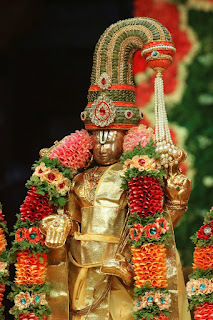 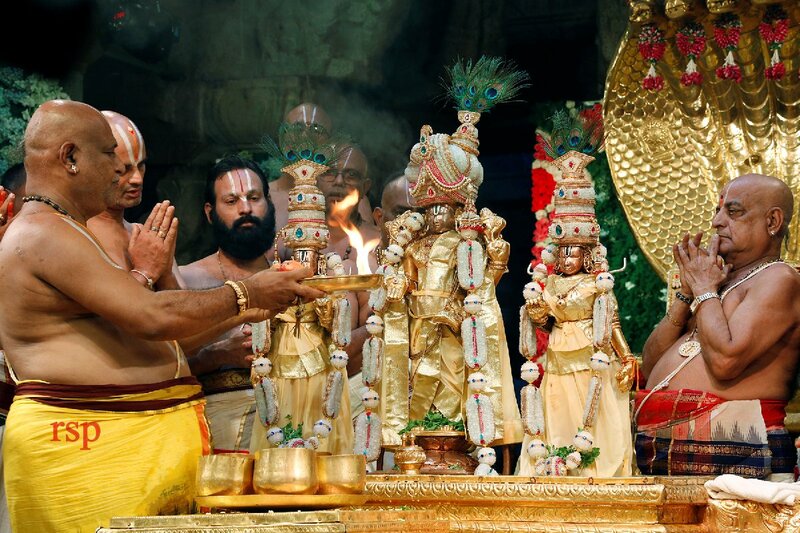 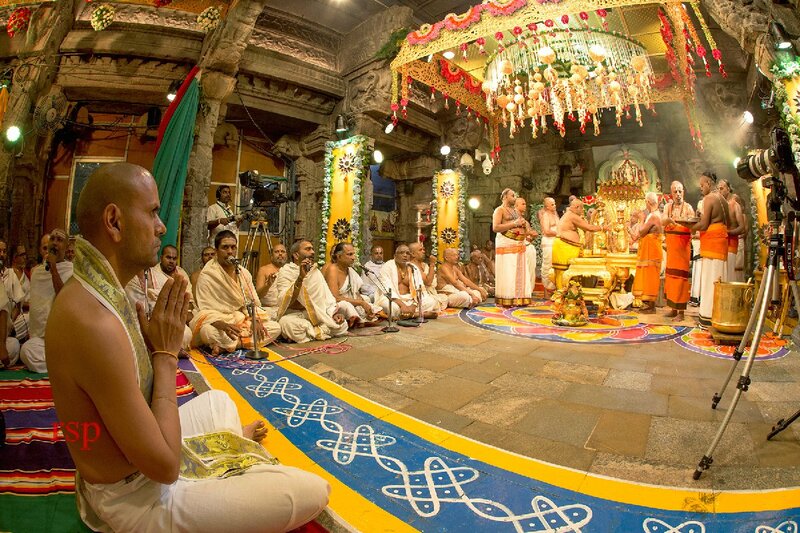 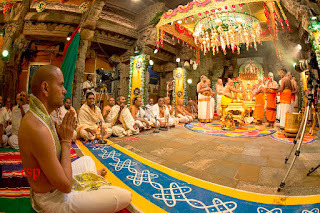 Tirumala, 15 September 2018: Among the great grand gala of religious activities as a part of the ongoing annual brahmotsavams, Snapana Thirumanjanam is one of the most significant rituals. The surprise display at the Snapana Thirumanjanam ritual was not just garlands with varieties of flowers but a massive green canopy made out of dry fruits, fruits, grass and grains too. Conceptualised to appease the Lord to bestow farmers with good harvest by blessing with good rains, the utsava deities of Sridevi, Malayappaswamy and Bhudevi where decked with these Garland's which enthralled the devotees and pilgrims. 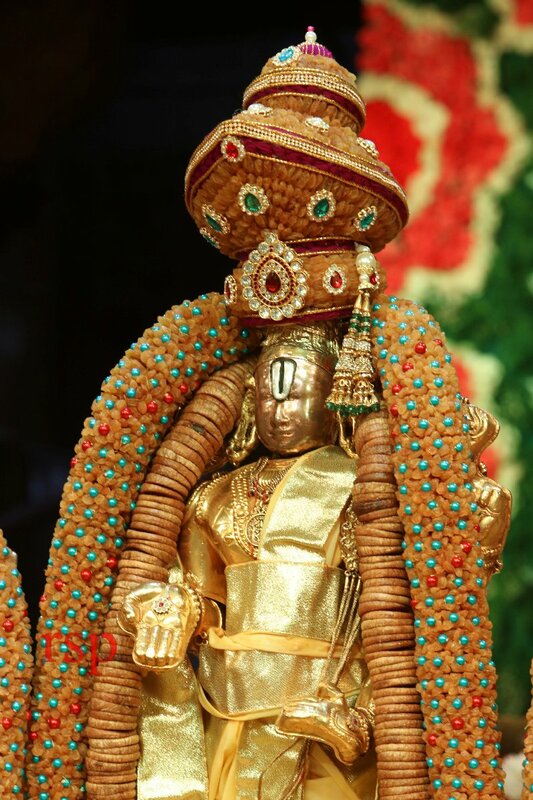 The garlands and crowns were made of Almond, Anjeer, Cardamom, coconut sheath tender flowers, bamboo rice astonished every one and everyone appreciated the skills of the artistes who hailed from Tiruppur of Tamilnadu. Srinivas and others took part.